Butterfly Reflections Ink - Thank you over the Rainbow Card! 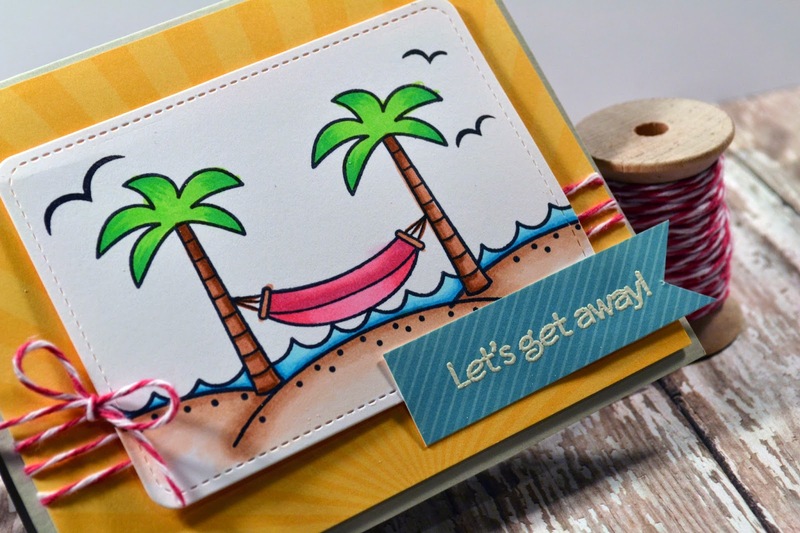 Be sure to head on over to the Blog to see more photos, how I created the card, and direct links to the products used! This week is pretty hectic for the family as its Kirie's birthday party this weekend so I'm hoping to be back to regular posting starting next week! Hey Everyone! I'm running a little behind schedule with the move, sick baby, and upcoming party planning for her. I apologize! I have a card that was featured over at the Butterfly Reflections, Ink Blog on Tuesday and you can check it out, how it was created, and the supplies used by clicking HERE. Today I'm using the Monster Mania Stamp set, in a Non-Monster way :) I love using stamp sets for other uses other than their original intent. Just shows how you can get more use out of your stamp sets. I'm currently obsessed with the most recent Lawn Fawn Release, so I thought this was another great chance to use one of the stamp sets. For my card, I created a one-layer card only using the "Love You S'more" Stamp set. The whole background/scene for the card was created using some Tim Holtz Distress Inks and masking paper. I first stamped the bear in memento tuxedo black ink and then masked him off, then stamped the hills and masked off the bottom portion. Then went to town inking the night sky with tumbled glass, evergreen bough, iced spruce and faded jeans. I then removed the mask for the bottom portion, masked off the sky and began inking the grassy area in Mowed Lawn and Peeled Paint. I then used the 2 different size stars in the stamp sets with some Unicorn White Ink to create the starry night. While the ink was out, I also inked up the "Need a Hug?" sentiment from Monster Mania. I wanted to keep the card pretty simple so after coloring the bear with copics, I tied some some twine at the bottom of the card. And thats it for my card. I hope that you guys have enjoyed this card, again I'm sorry for the delay in having it posted! I LOVE how this card turned out!! The yellow paper is the perfect fit too with the sun-rays. Its from the Lawn Fawn "Hello Sunshine" 6x6" paper pad. Hope you guys enjoyed this card. Be sure to check out the other amazingly talented ladies on the design team by clicking on their name in the right side-bar. See you back here soon!!! Be sure to head on over to the blog to see how I created this card, more photos, and direct links to the products used on this card! We have FINALLY gotten rid of all of the boxes in our new space.....now its just a matter of organizing it so that we can locate it again when we need it :) This whole process of moving seems to take longer and longer each time we go through it. So I apologize for not having as many projects up for you guys while we finish organizing and I've been working part time. I'm trying to get into a rhythm of a schedule again. Onto the reason that you are all here....Scrappy Mom's Terrific Tuesday Challenge. If your new to our challenge and my blog -- Welcome, welcome, welcome! We love having new players join in on the challenge. TTC, as we like to call it for short, happens on the 1st and 3rd Tuesday of each month. 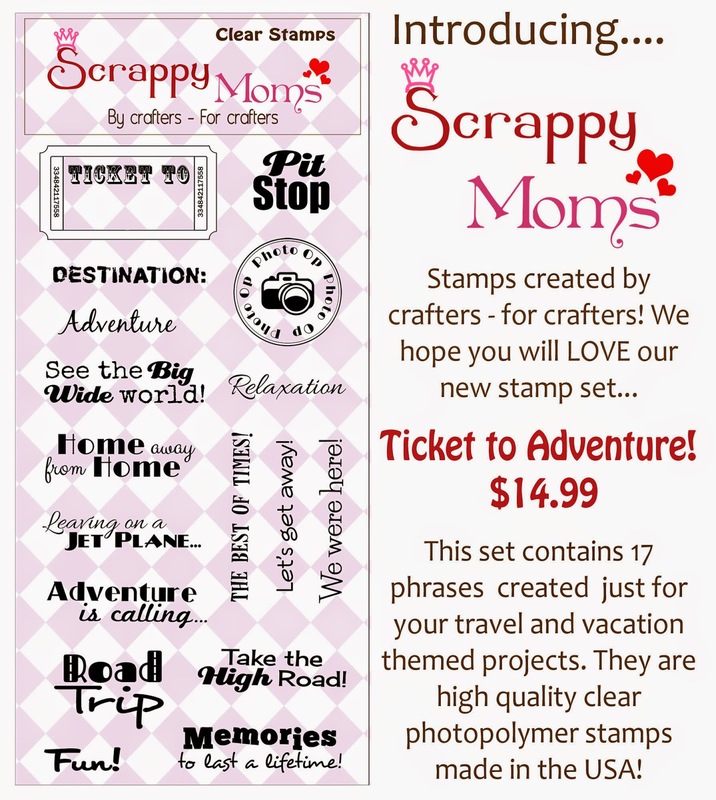 Be sure to check out the Scrappy Moms Blog to see the amazing projects created by the design team and to enter in the challenge for your chance to win a Scrappy Moms Stamp set of your choice! With the 4th of July right around the corner, this weeks challenge is titled "Stars & Stripes". Create a project with the use of stars and stripes. Here is my card below. 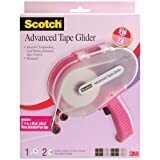 It was created with some limited supplies as I'm trying to organize all of my crafty supplies. Be sure to head over to the Scrappy Moms Blog to join in on the challenge and see all of the other designers Amazing projects!! Scrappy Moms and Miss Kate Cuttables Co-Blog Hop!! Hello Everyone!! I'm Finally back and somewhat settled! If you've ever moved, you know that the organizing and putting things away seems like a never-ending project...we're currently at the tail end of that process. I'm so incredibly excited to be participating in the Scrappy Moms and Miss Kate Cuttables Co-Blog Hop! I've been a part of the Scrappy Moms family for some time now and have loved every minute of it. Not only are the owners, Mel & Tammy, great people but their stamps are amazing! Be sure to leave comments on the Scrappy Moms Blog and Miss Kate Cuttables Blog for your chance to win some amazing prizes everyday! For my card for the Co-Blog Hop, I just couldn't resist the Ice Cream Truck SVG file and it goes perfectly with the Scrappy Moms Ice Cream Social stamp set. I went a little crazy with some Wink of Stella on my ice cream truck by I really love how it turned out! Be sure to head over to the Scrappy Moms and Miss Kate Cuttable Blogs to check out the other amazing projects created by the designers! I hope to be back here soon on a regular schedule for you guys with some more projects! 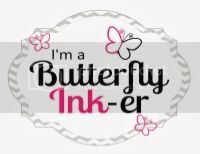 Today, I'm being featured over at the Butterfly Reflections, Ink Blog with a brand new card for you guys using my new obsessions -- STENCILS!! Be sure to head on over to the Blog to check out more photos of my project, along with details on how I created the card and direct links to the products used! Thanks for stopping by and I'll see you back here soon! Hey Everyone and TGIF!! Thank goodness the weekend is finally here! Please excuse my lack of consistent posts but we have just gotten up to New Jersey after a few days of traveling and are awaiting all of our stuff to arrive and to begin the craziness called "Unpacking"!! Wish us luck! Scrappy Moms Stamp is having their FOUR YEAR ANNIVERSARY!! Its been an awesome 4 years with TONS of amazing stamp sets released by the fabulous owners, Mel & Tammy! If your new to our challenge at Scrappy Moms -- A HUGE Welcome goes out to you! If you haven't joined us before, please join in on the fun! TTC, as we like to call it for short, happens on the 1st and 3rd Tuesday of each month. 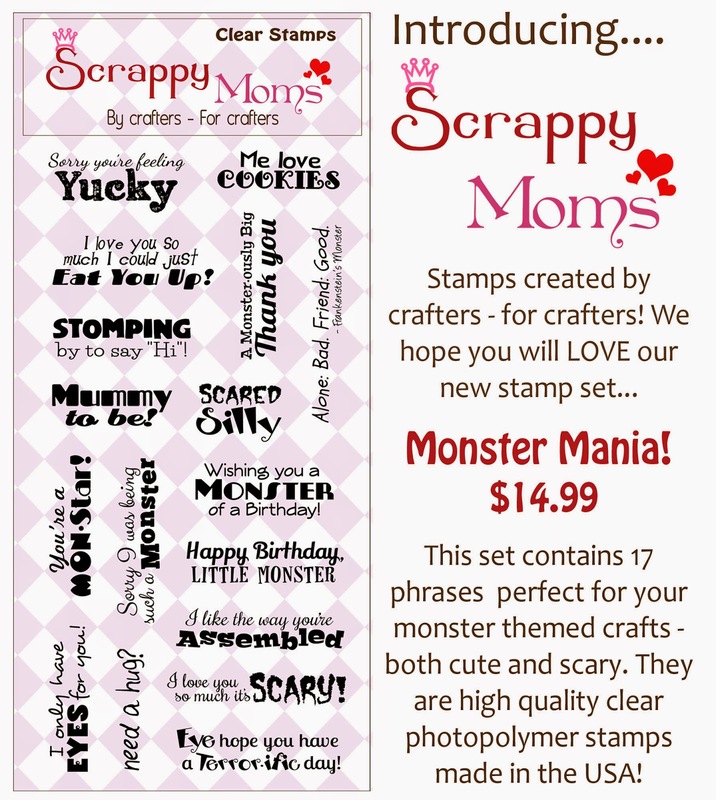 Be sure to check out the Scrappy Moms Blog to see the amazing projects created by the design team and to enter in the challenge for your chance to win a Scrappy Moms Stamp set of your choice! With it being the 4 Year Anniversary of Scrappy Moms, we are titling this challenge "Amusing Animals" in honor of Scrappy Mom's 1st stamp set! I couldn't just make 1 card for this special occasion....so I made a set of 5 - 3"x3" cards! Check them all out below. How stinkin adorable are these little Animals! And they pair up PERFECTLY with Scrappy Moms Amusing Animals Stamp Set! These would be so cute in a lunch box :) These came together very quickly too! I die cut all of the animals, then stamped them in Momento Tuxedo Black ink and added some quick colic coloring. Applied a wash of Tumbled Glass Distress Ink for some "sky" on my card. Created some faux grass out of green card stock and stamped my sentiments in some speech bubbles. Lastly added some time to finis the card! Hope you guys enjoyed!! Be sure to head over to the Scrappy Moms Blog to join in on the challenge!